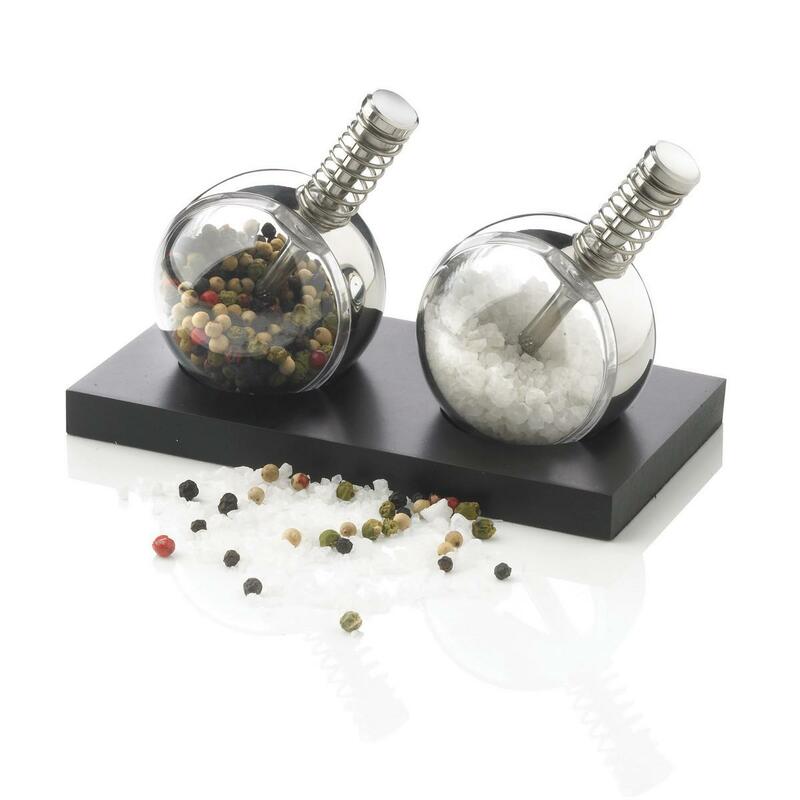 Planet Salt & Pepper mill set is a stylish pepper and salt set that has a unique spring-action design in each grinder that allows convenient one-hand operation. 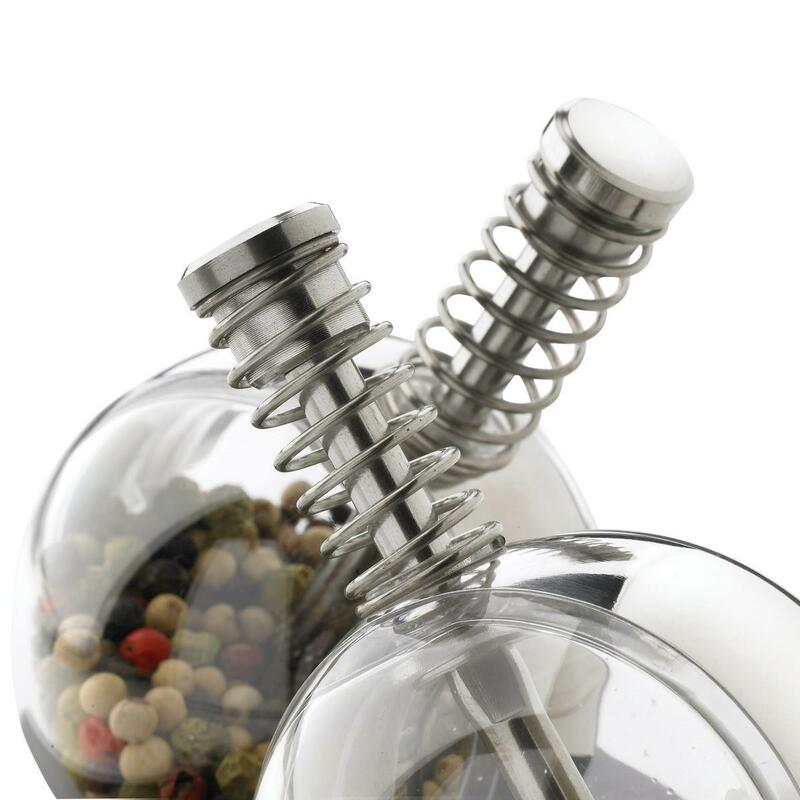 As the globes are transparent it's easy to see your sea salt and peppercorn levels. 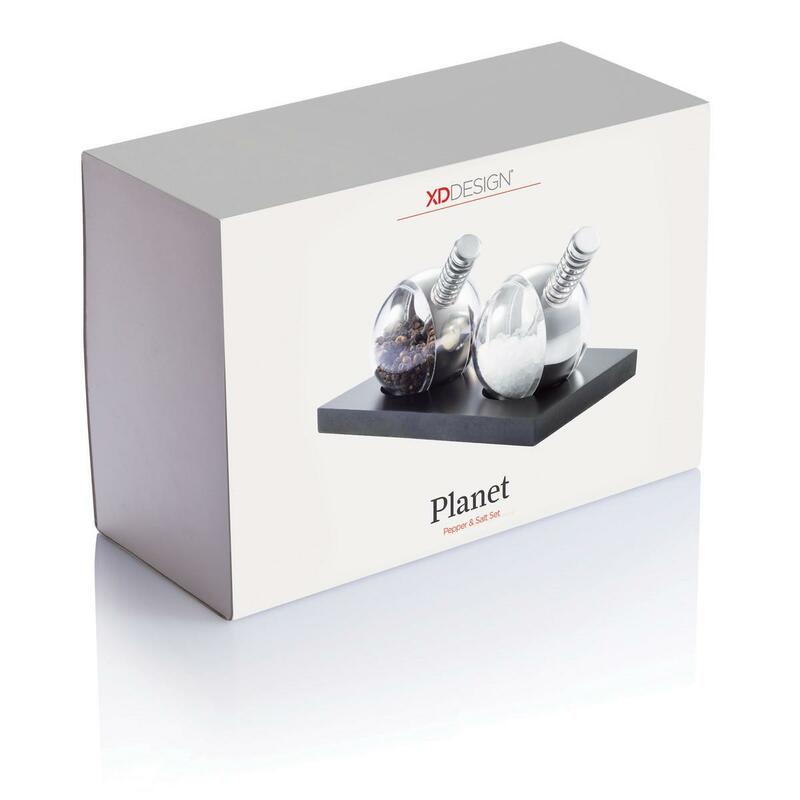 Planet Salt & Pepper mill set is of a unique, registered design®. 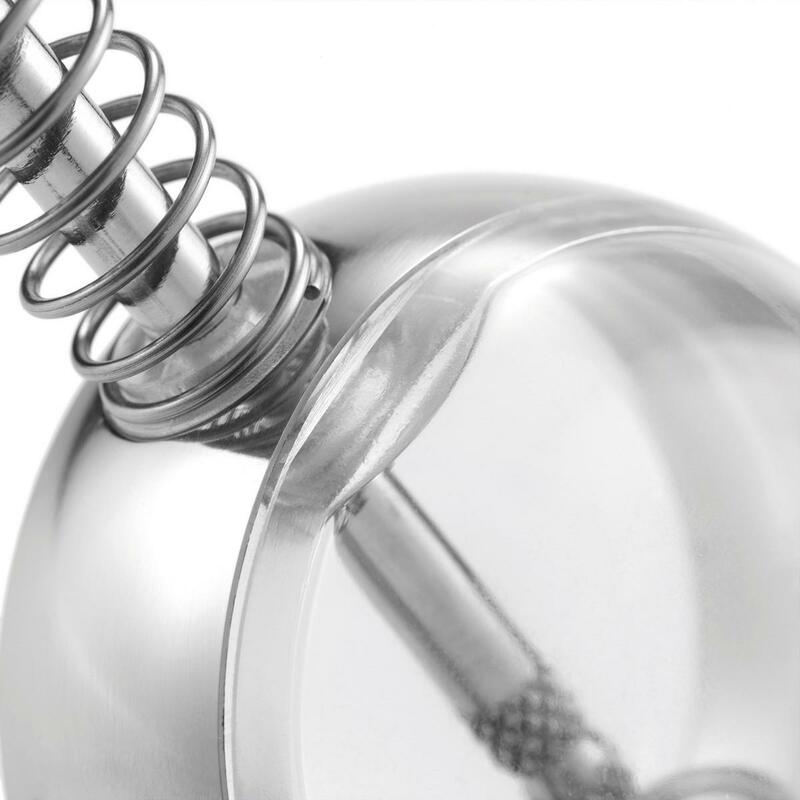 Both globes are in acrylic. 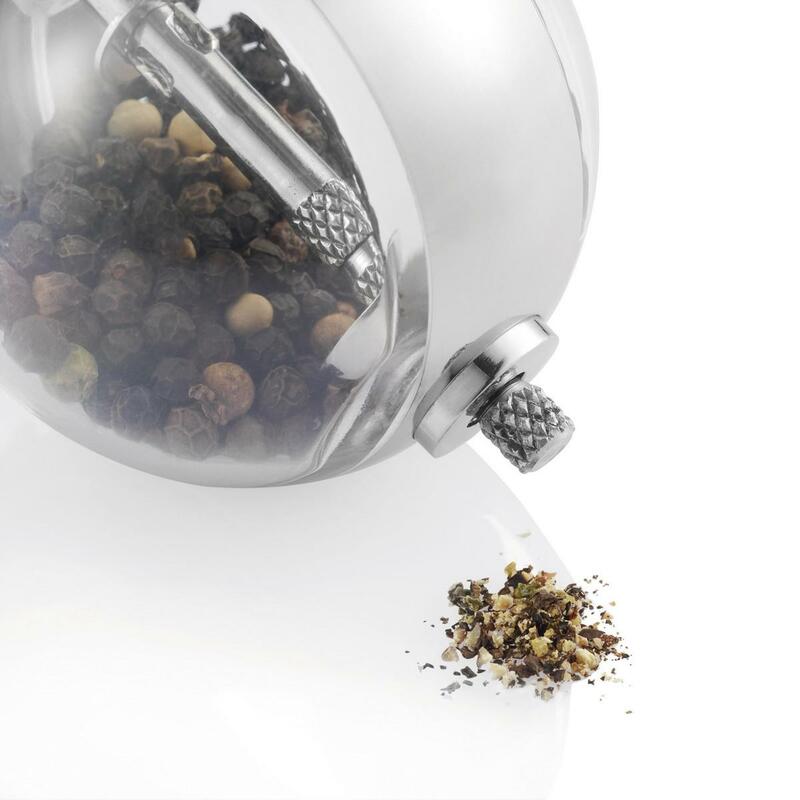 A stainless steel additional refill funnel is included. 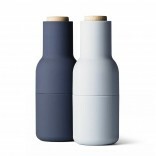 The base is made of black sprayed wood. Dimensions: 14,9 x 8,0 x 7,8 cm. 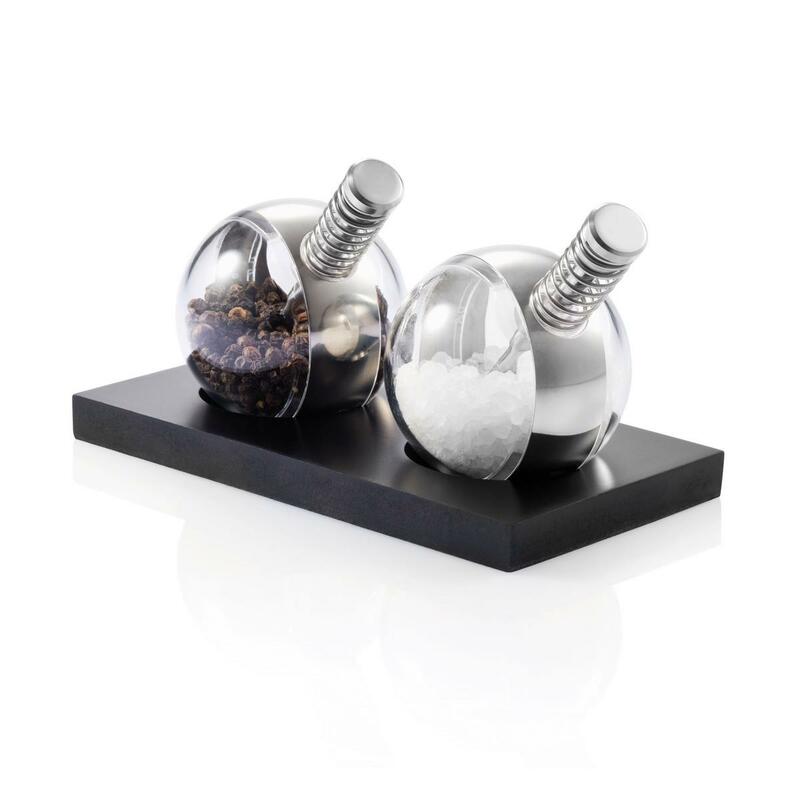 Material: Acrylic globes, stainless steel grinding mechanism, black sprayed wooden base. 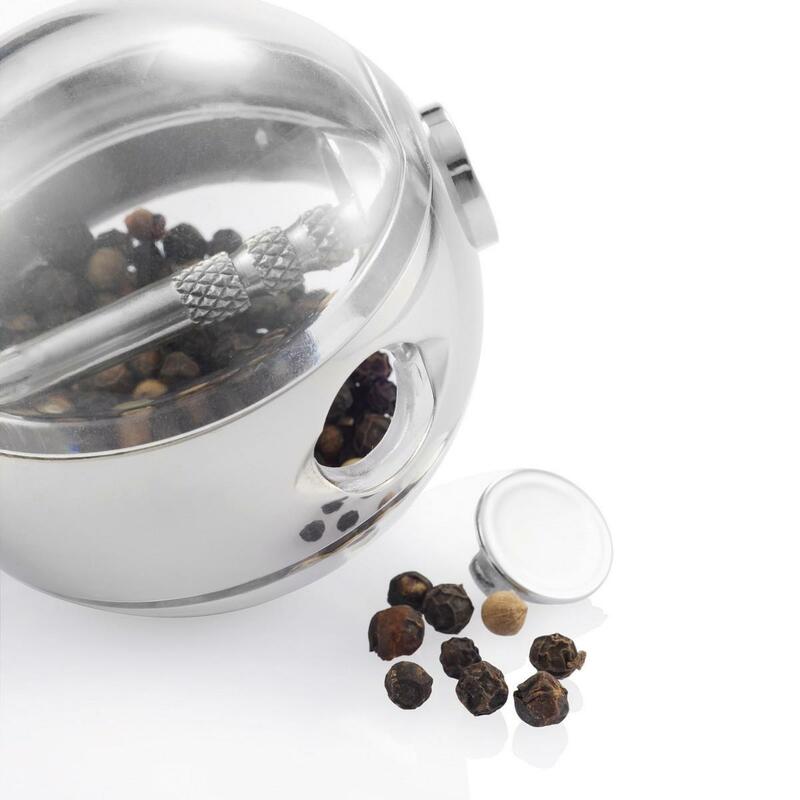 One extra stainless steel funnel included.